The phrase comes to surface amid a collection of voices, most discussing the unknown trader. The room focuses on his (or her) observable market influence, dissecting how and why he closed all his short positions for signs of strategy. Whether he’s Clowncontrol, Gregcron or Barry White, or one of a host of other usernames that dot the screen, is unclear. Salacious talk aside, it’s a boring day in the Whale Club trading room. Bitcoin is trading at $250, up from $230 days before. The rise has been the first jolt in an otherwise “choppy” cycle for the price of bitcoin, weeks of ups and downs with no clear trading patterns to yield profits. “It’s been out since Monday,” one of the traders interjects amidst sudden silence, clearly bored by bitcoin’s stability. Debate ensues over the hit Netflix series House of Cards. For a moment, it could be any Wall Street break room. “Look at this one-minute candle, holy [expletive]!” exclaims another voice. Just as quickly, Whale Club is back to business. Though the rise of a secretive group may be business as usual for the bitcoin community, Whale Club has built up an unusually polarizing reputation. The informal club of traders is at once reviled in public for its perceived shadowy market practices and heralded in private by exchanges for knowledgeable product insights. 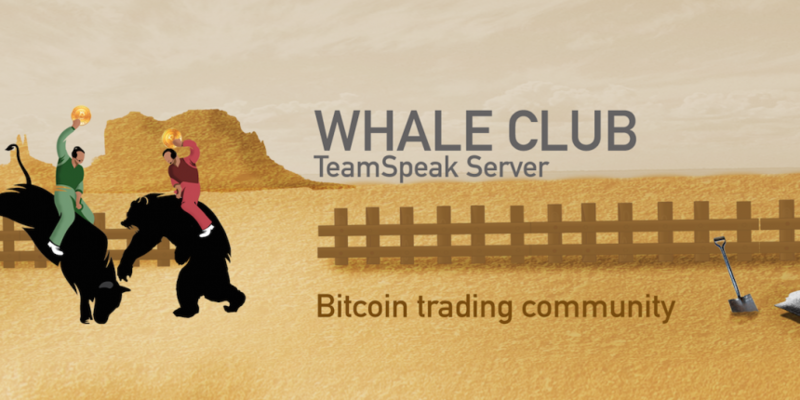 At any given time, traders can be heard on Whale Club’s TeamSpeak channel, discussing market movements and strategy. Notable members of the exchange industry, including Bitfinex’s Phil Potter and BitMEX’s Arthur Hayes, are known to stop by to get a gauge on market activity. Others like soon-to-be-incarcerated bitcoin entrepreneur Charlie Shrem have made special appearances. Group leaders like BTCVIX and Flibbr are aware of its more negative reputation, but believe that much of this sentiment has been an unfair byproduct of its name (the term ‘whale’ denoting traders that are large enough to move markets for their own benefit), as well as what they deem a lack of education in the bitcoin community about market dynamics. As for how the group is viewed by exchanges, the answers differ based on the company. Some are fans and members, while others downplay any relationship. Bitcoin derivatives exchange BitMEX is a vocal advocate, with CEO Arthur Hayes and CTO Sam Reed both defining themselves as members. 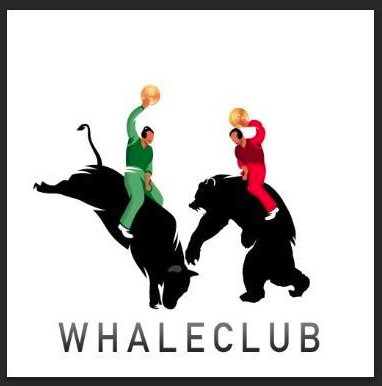 Calling the community a “very important segment of the market”, Hayes and Reed confirmed that they use Whale Club’s insights to shape decisions. OKCoin indicated that while employees may be associated with the group, it doesn’t have any formal relationship with Whale Club. Zane Tackett, OKCoin’s former community outreach director, said that though he has been in contact with the group, no special emphasis was put on its feedback during his tenure. If there’s one thing that bothers the traders behind Whale Club, it’s the one-directional discussion about bitcoin price, and their views on the subject may paint a picture of why they sometimes offend the sensibilities of the general market. Contrary to what you may read in the media, bitcoin’s volatile price is one of its biggest benefits to certain subsections of the community. Apart from its use as a spending tool, bitcoin is an asset class, meaning it trades on the open market. Exchanges have spent the last year moving to offer an increasing variety of tools for traders, and this includes the ability to short or long the market. Whichever direction it goes, there’s money to be made. “It was like I was given a second birthday in the same year,” Flibbr, 29, recalls, talking about the digital currency’s stunning year-over-year decline, and its more recent “capitulation”, falling under $200 at the start of 2015. “The downtrend has been fantastic for profits,” he boasted. Perhaps as a nod to its reputation, Flibbr first quips that the group requires users to hold 500 BTC ($143,000 at press time). It takes him a few seconds to note the joke doesn’t resonate. 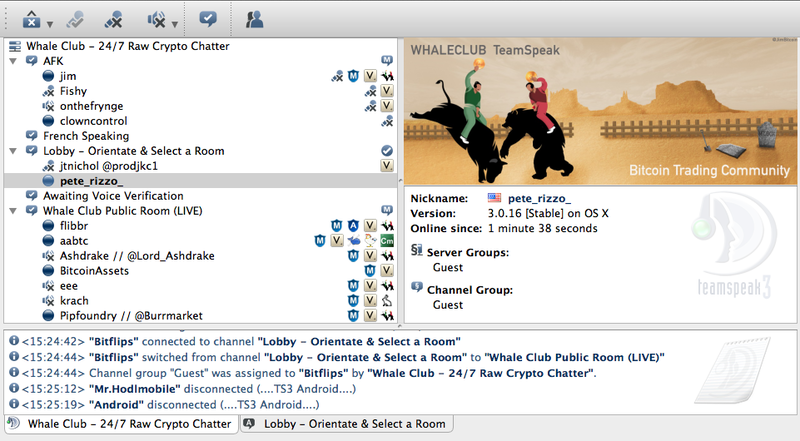 Despite claiming 200 traders from 30 countries, Whale Club has only been around for about a year. First connecting on stock and forex chart analysis site TradingView, future members began to look toward alternatives that would provide the feeling of a real trading room floor. BTCVIX credits the 2009 documentary Floored as part of the inspiration, calling it “a story of the dying breed of floor traders who can’t make the transition to the desk”. Still, he believes the TeamSpeak channel is about more practical matters than nostalgia. “In a profession where information processing and dissemination is king, the fastest medium wins,” he said. Today, Whale Club says it has no idea as to its own influence in the market, citing this as a testament to the anonymity the group offers. “Some people are on there playing with bitcoin dust, 0.25 BTC or 0.5 BTC, but there are other traders with hundreds or thousands of bitcoins,” BTCVIX said. The group has a Vaughn Live TV channel, as well, allowing anyone access to its TeamSpeak room, factors they say make them open to the public. “We’re not all betting the same way,” he said. It wasn’t long before this attitude raised eyebrows and spurred accusations. Still, BTCVIX and Flibbr dismiss criticisms of the community, attributing the backlash to the relative newness of trading to younger bitcoin owners. “They’ve taken the trade, they’re wrong on the trade and their ego is not able to process being wrong, so rather saying ‘Hey I was wrong’ … they instead lash out and want to blame people,” BTCVIX argues. Indeed, the group’s worst critics have sought to associate Whale Club with market manipulation, a charge that the group also dismisses due for similar reasons. It also fires back, in its own tongue-in-cheek way, naming its various chat channels “Collusion room” or “Conspiracy room” in nods to controversies. Both BTCVIX and Flibbr attest to doing “very well” as full-time bitcoin traders, though they are hesitant to provide details. On a good week, such as when bitcoin plunged in January, BTCVIX attests to earning 100 BTC (about $20,000). This sum, he said, can outpace what he’s likely to earn over the next two or three months, during the “choppier periods” when the market has no direction. Flibbr admits to keeping small positions of about 50 BTC ($10,000 at press time) to “keep himself occupied”, but also spoke out against the idea that trading is an easy occupation. “Trading bitcoin is incredibly hard work, it’s 24/7. You have Asia open, you have London hedge fund kill zone. You have New York, East Coast, West Coast, so you’re constantly sleeping with price alarms set,” he said. This active work has turned Whale Club into a kind of thriving community of friends. Flibbr and BTCVIX admit to becoming more than acquaintances based on “the shear amount of time” they spend on TeamSpeak. At the very least, the group shares a sense of commonality, describing their influence as follows when asked about their interests beyond bitcoin. “Degenerate gamblers aspiring to get rich, quit their jobs, drive Lambos and bang [expletive]. I tried to dress it down but the room agreed unanimously on that description,” BTCVIX said, adding that other interests of members include, UFOs, swans and Asian fetishes. In contrast to the perception of their critics, BTCVIX and Flibbr both look at themselves as bitcoin enthusiasts. The two suggested that they are limited in programming talent, and are simply helping bitcoin by contributing to a more liquid market in a way that best uses their skills and background. The members of Whale Club, he asserts, aren’t separate from the bitcoin ecosystem. Flibbr claims to have lost money in the Mt Gox collapse, and BTCVIX said he is sympathetic to the calls from the community for decentralised alternatives to the current exchanges. However, he said that Whale Club and any active traders who love bitcoin’s volatile market will be willing to trade no matter the solution.